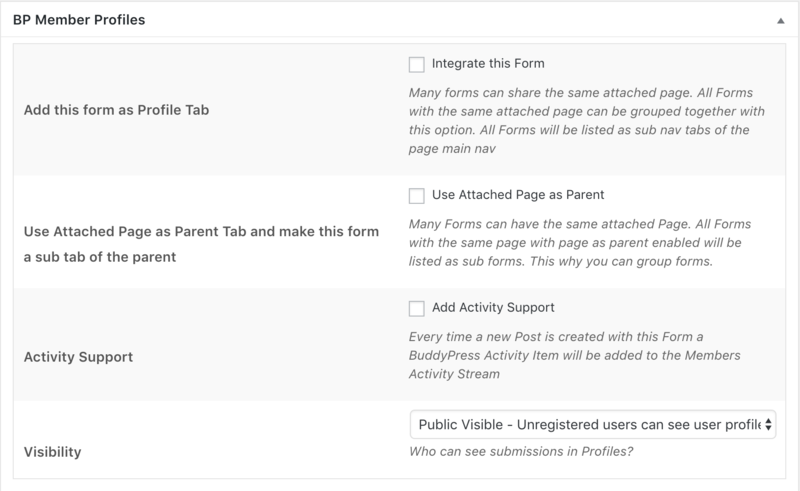 Every form can be integrated into the BuddyPress Member Profile as a new Member Profile Tab. After you have installed and activated the BuddyForms Members extension you have a new Sidebar Meta Box in the Form Builder. Please make sure you have selected an attached page under "Edit Submissions". Otherwise, the integration cannot work. We need the page for the integration. For more information on the attached page read here.